Do you work for Roadster? Claim your company page now! 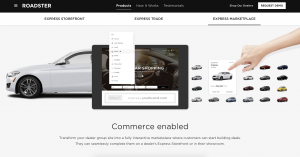 Roadster is an Automotive omnichannel commerce platform that enables transparent car buying 100% online through dealership websites and at roadster.com. 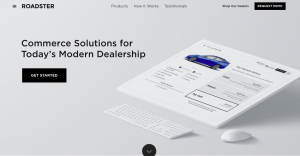 Roadster dramatically improves the car-buying process, significantly increasing dealership sales efficiency while ensuring buyers save time and get a fair and transparent deal. 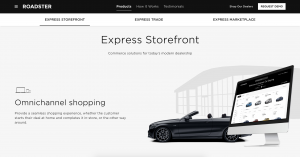 With unmatched industry expertise and complete knowledge of market pricing, lease and finance rates, and incentives and rebates, Roadster finally makes online car buying a reality. 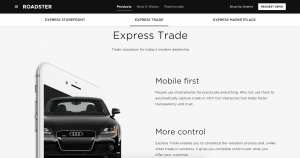 The company is based in Palo Alto, California, and was founded in late 2013.